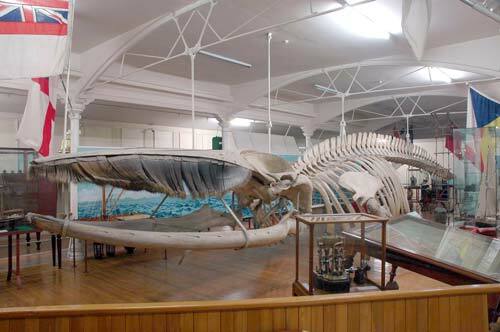 This skeleton of a fin whale was originally found on a beach in Nelson, at the entrance to the Waimea River, in 1882. Captain William Jackson Barry displayed it around the South Island for a fee of sixpence a head. Eventually the skeleton reached Otago Museum, where it is still on display. The 18-metre skeleton is a juvenile fin whale. Adults can be as long as 27 metres.